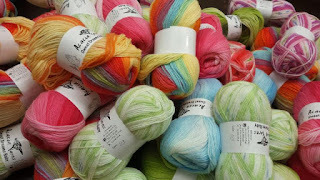 Yarn and Fiber Happenings: New Penny Straker Designs Trunk Show, Spectacular New Colorways in Ivy Brambles Hand-Dyed Cashmere and Sleepy Eyes Knitting Dreamscape Trunk Show! New Penny Straker Designs Trunk Show, Spectacular New Colorways in Ivy Brambles Hand-Dyed Cashmere and Sleepy Eyes Knitting Dreamscape Trunk Show! New Penny Straker Designs Trunk Show have arrived! Visit us in store or on the blog to see another set of gorgeous Penny Straker designs which include the very, very popular (for years now) Johnny with Hood Pullover Sweater (#C772), Rigby Vest (#802V), Staithes Guernsey (C796), Nashawena Cabled Sweater (C886) and for accessories, the Basic Hat and Mitts Set (C732) in two different styles! Each of these garments kits can be found on our website under Project Kits in our choice of perfect yarns! Just in for all our cashmere lovers - new hand-dyed colorways in the 2-Ply and 4-Ply Ivy Brambles Cashmere Yarns - new colors include Poppies, Grand Canyon, Bluebell Woods, Pine Tree and more! Check them out - the 2-Ply is perfect for lace work and the 4-Ply is perfect for a warm set of mitts, a hat or a gorgeous cowl or scarf! 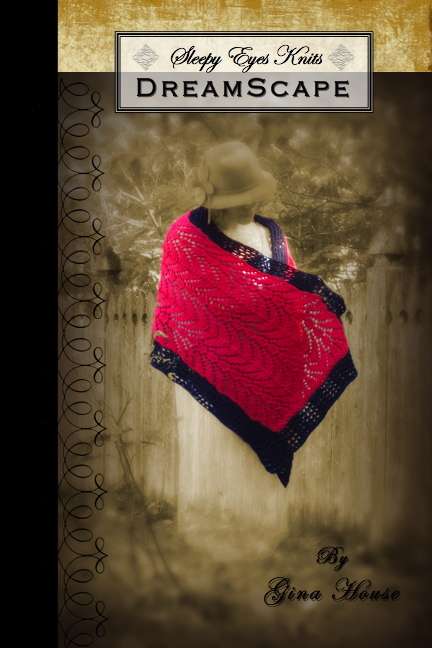 Also please made a note to join us for the Sleepy Eyes Knits Dreamscape Trunk Show and Book Signing with Gina House on Saturday, February 13, 2010 from 11:00 AM to 3:00 PM. This is a fabulous book filled with original designs that are classic and simply constructed and each design calls for 1 or 2 skeins of yarn. The spiral bound book includes pattern charts and vintage style photography as well as clear and easy to follow instructions. Samples from the book will be available for try on so you can decide which one you'd like to start knitting first! And as a bonus for coming to the show, each signed book purchased on Saturday instore, will also include a PDF of the Dreamscape book with the spiral bound book. Can't make the show? Order one online today (book only, sorry PDF not available for online purchase). Make sure you sign up for a chance to be our next lucky winner for our Prize Giveaway. It's easy! Just go to our website click on the Prize Giveaway link on the right hand margin and enter your info! Good luck to all who have entered! Thanks, enjoy and have a great and creative day!